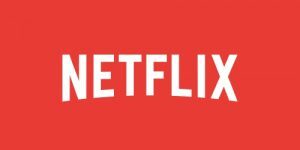 The VPN Lab - VPN Guides - Netflix Guides - Does CloakVPN Work With Netflix? Unblocking geo-restricted content in various corners of the world is one of the main reasons for purchasing a VPN subscription. However, the battle is not getting any easier since popular streaming platforms like Netflix, Hulu, BBC iPlayer, and others are constantly getting better at detecting and blocking VPN and proxy traffic. CloakVPN is basically a one-man project developed and launched by a network security engineer that calls himself powrcycle. It is quite famous in limited underground circles for the fact that it accepts Monero as a payment method. Having said that, if you are interested in finding out whether you can use CloakVPN to unlock the coveted US version of Netflix outside of the United States, we have some bad news. After numerous attempts to access the Netflix content base using CloakVPN, we have to inform you that, unfortunately, the service does not work with this streaming platform. We were bombarded by one proxy notification after another and could not start any movies or tv shows. If we are being completely honest, this was the result we expected to get. Knowing how big-time VPN services like Express and Nord invest enormous amounts of money in order to keep up with the protection mechanisms implemented by various streaming platforms, it would simply be incredible for a modest one-man project to be able to do the same.